In the UK October is Black History Month – a few weeks of the year when men and women of colour are featured in classrooms and beyond. Is this to raise awareness of the diversity of the people of the past, or of people now, or the diversity around us all the time? 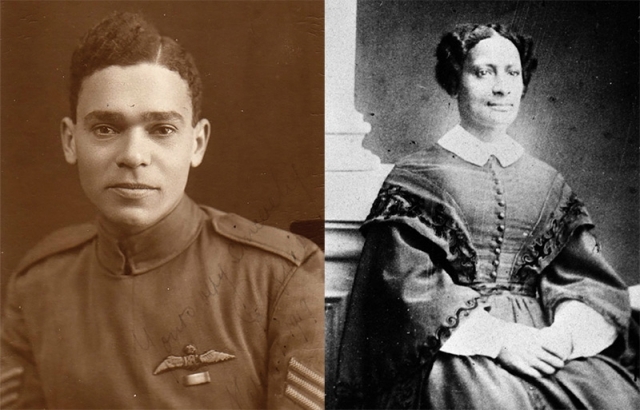 For the HA, Black History Month is an opportunity to ensure that explorations and analysis of the past include the breadth of experiences reflecting the diversity of men and women across history. It also reminds us all that a wide range of people can feature in many of the themes and periods that are studied throughout the year. Over the autumn months of 2018 many people will be exploring the theme of Remembrance, particularly in light of the centenary of the end of the First World War. There will be discussions about poppies, local war memorials and possibly about sacrifice and courage. These discussions offer an important opportunity to highlight the diversity of those involved in the conflict, for example the significant role of the Commonwealth and Empire troops as well as people of colour from the UK. One such example is William Robinson Clarke, a mechanic from Kingston Jamaica who served in the Royal Flying Corps during the First World War. Robinson Clarke – along with a number of others – challenged the prejudice of the time and demonstrated great ability and courage during an era when racism and prejudice were prevalent. Find out more about Robinson Clarke on the RAF100 Schools site (see Pilots & Ground Crew in 'History 1' PDF). Another example of a role model from that period is Walter Tull, the professional footballer who became the first Black British man to be awarded a commission to become an officer. These figures are an important part of the First World War story and should be included in any in-depth study of the period. Information about the wider theatres of war that made up the First World War can also highlight the contribution of men and women from a variety of nationalities, religions and ethnicities. This might be the fighting in Galipolli and the Middle East which British Indian Forces were heavily involved with or the fighting in East Africa, where British troops included African volunteers. It’s not only men who can be explored in this year’s significant anniversaries and regular topics of study in the classroom. Sarah Parker Remond was born in America in 1824 and is probably the only black woman to sign the 1866 suffrage petition. She started her career in America as a significant campaigner for Civil Liberties – particularly anti-slavery – before travelling to the UK and embracing the demand for women’s rights. She supported the largely middle class white women’s campaign for equal rights but at the same time urged them to ‘demand for the black woman the protection and rights enjoyed by the white’. Sarah was important because she was a rare link between black women and white women in the anti-slavery and women’s rights movements, and always made her point of view clear as a black woman committed to the rights of both women and black people. Parker Remond led a remarkable life and will be one of the key case studies included in the HA’s new Suffragist resources which will be published later this autumn. Again her story is an inspiration and an example to people from all backgrounds, and can be explored and taught throughout the year. Black History Month is not a tick-box activity; it is a nudge to open up our history and look at it in all its colours, shades, ethnicities and many forms of diversity. It should be the springboard for the rest of the year, not a one-month exercise. Find out more via the resources linked below (free to HA Members).